Netbooks are portable laptops optimised for life on the web. Netbooks are cheaper, sleeker, and lighter than standard laptops. Netbooks offer longer connectivity thanks to longer battery life. Netbooks portability have made them very popular to consumers, especially students and mobile workers. If you are planning to buy a netbook, this buyer’s guide will show you some of the most important considerations. To a number of consumers netbooks are no different from laptops. The term netbook might still even be alien to a number of people. To these people netbooks are nothing more than small or portable laptops. However, netbooks have some unique characteristics that are generally accepted as distinguishing them from laptops. Aside their small size, netbooks are cheap (19,000 Naira – 60,000 Naira), offer smaller displays (7-inches – 13-inches), and limited processing power with longer battery life. Another critical distinguishing feature is that netbooks usually lack optical storage drives like CD/DVD drives. Do you really need to buy a netbook? Before rushing out to buy netbooks because of their cheaper price tag, you need to make sure that you need a netbook. You may need a computer, but not actually a netbook. If you are looking for a computer to handle basic computing needs like word processing and spreadsheets, then netbooks are great in these tasks. Netbooks can also handle basic video, photo, and graphics editing, but their smaller display and lower processing power makes them inadequate for high definition or high resolution video or graphics work. Although some recent netbooks are now adding graphics engine, you are better off buying a high-end laptop or a full desktop computer, if you plan to do professional graphics or CAD like AutoCAD. Audio quality of netbooks, especially the low-end models have also been found wanting. You can play basic computer games on netbooks but as the graphics requirement of the game increases, you will find netbooks wanting. Netbooks as the name implies are optimised for web access and are great for surfing the internet. They will normally come with built-in Wi-Fi, but some models also come with full 3G cellular support. You can also connect via USB or Bluetooth, using an internet modem or an internet enabled mobile phone. If you are looking for a computer for accessing the internet, connecting to social networking site, connecting with your colleagues in the office via e-mail, a netbook should probably be your first choice. Netbooks are also great if you use cloud computing. Netbooks can also be great for students especially if they do not require high processing power for graphics or apps development. Netbooks are light so if you are looking for a computer that will be easy to carry around, then you need to consider a netbook. Netbooks are better view indoors as their displays blurs under the sun, if your computer will be used outdoors most of the time, then you are better off buying a laptop. Netbooks, because of their portability come with small displays from 7-inches to up to 11-inches, with 12/13-inches models also available. They usually come with a resolution of 1024 x 600 pixels with richer resolution also available. When buying netbooks it is a great idea to go for as high a display size that your budget will accommodate. Netbooks with larger displays will offer better view quality and may be useful for some graphics applications. Most recent netbooks in the market today offer 1.66GHz, some recent netbooks offer 1.66GHz dual-core with improved performance. This limited processing power makes netbooks unsuitable for graphics, HD video and HD gaming. When buying a netbook, we recommend you go for at least 1.66 GHz. Most modern netbooks come with 2GB RAM with an option of expanding to 4GB. If you plan using graphics, it may be good to go for more memory. More on-board memory will lead to improved performance. A Hard disk drive of 320GB seems to be standard on most modern netbooks and we recommend you go for the standard, except if you plan using cloud computing to make up for lower on-board HDD. Some netbook vendors also offer online storage (cloud storage) in addition to the on-board HDD. Netbooks offer longer battery life ranging from 4 hours to up to 14 hours. However, actual performance is usually lower than quoted by manufacturers. Battery life will also depend on applications you are running with graphics and multimedia requiring the most power. Always buy a netbook with the longest battery life within your budget. Netbooks do not come with full size keyboard. They are usually equipped with keyboards of between 80% and 95% full keyboard. This might mean that the keys are crammed. So when buying netbooks, we recommend that you try typing with it at the store to ensure the keyboard feels comfortable before paying for it. Netbooks are available with Windows 7 and Linux. Windows 8 netbooks (usually 32-bit) are also available. Netbooks are also available with Android, while Google calls Netbooks based on its Chrome OS Chromebooks. If you are already used to the Windows operating system, it is recommended you buy netbooks running Windows 7 or Windows 8. If you are comfortable with the Chrome browser with unlimited internet access, Chromebooks may tickle your fancy. Similarly if you are used to Linux OS go for Netbooks running Linux OS. An added advantage of Linux netbooks is that they are cheaper. If you want a netbook that will run Android apps, go with one loaded with Android. Netbooks usually come with no preloaded applications, especially low-end models. When buying a netbook, it is advisable to find-out what applications are preloaded. If you want to use cloud computing an internet browser is all you need and netbooks will usually come with a browser because they are free. Applications on your netbooks will usually be freeware or trial versions of applications. Price of netbooks range from 19,000 Naira to up to 400,000 Naira. Consider your budget and buy the netbook with the best spec within your budget. 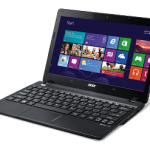 Acer and ASUS made their names manufacturing and selling netbooks. However, other computer and mobile devices manufacturers have since joined the netbooks market. 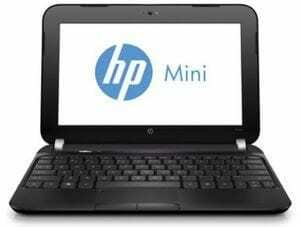 Today Dell, Samsung, and HP have netbooks in the market.